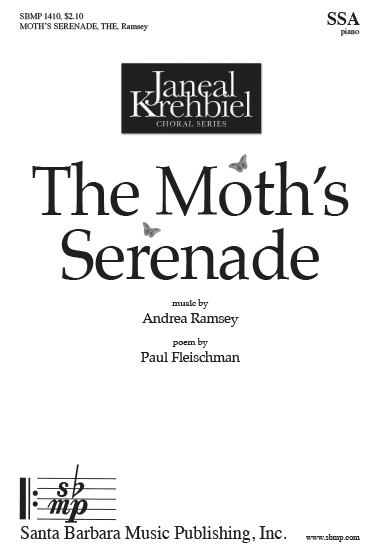 The Moth’s Serenade , Andrea Ramsey | Santa Barbara Music Publishing, Inc. Clever goings on here, starting with the famous poem, herein enhanced by the special drama of the music. Top-notch children’s choirs will love this as will any age treble choir. This is both sophisticated and fun.